You are here: Home / Rider News EU / Hi Viz All Over! 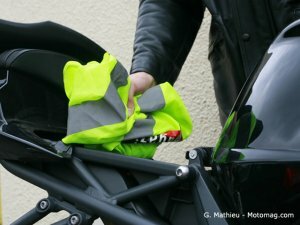 It seems the wearing of compulsory Fluorescent/Yellow HI Viz/Jacket/Vest by French bikers while riding has gone away for now. France’s National Road Safety Council requests that the new road safety recommendations to be translated into regulatory text by the Government. The recommendation from the council is similar to that which is obligatory for motorists, which would be to carry a high visibility vest under the motorcycle seat, in a bag, in the box top etc and for that vest to be worn in case of an emergency stop. We cannot leave the article without mentioning our previous reporting on the Hi-Viz issue which spilt across the channel into the UK. That is to state that the Hi-Viz issue was not a European Union issue, there was no European proposal, it was a national French issue and there were no plans by the UK or Northern Ireland Governments or agencies to introduce Hi-Viz here. In Ireland the Road Safety Authority (RSA) is still considering the mandatory introduction of some form of Fluorescent/Yellow HI Viz/Jackets/Vest and has been pushing for the voluntary wearing of these. The rider’s rights organisation in Ireland, the Irish Motorcyclists’ Action Group has been working and continues to work with the Irish authorities. 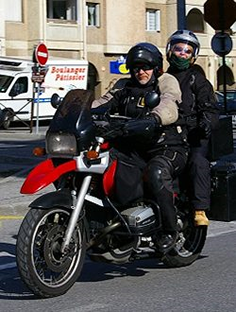 Back to France, our understanding of the various translations of website reports is that FFMC, (Federation Francaise des Motards en Colere – French Federation of Angry Bikers) remains opposed to being obliged to carry a high visibility vest and thus receive penalty points if a high visibility vest is not carried. FFMC seems to be saying that a high visibility vest accessory can be useful in an emergency situation if only to report to other road users as a “distressed” situation at the roadside. However they also seem to be arguing that this recommendation remains ineffective, even if it is just advisable to have one to put on in the event of an unexpected stop, as the effectiveness remains improvable by the Directorate of Security and Road Traffic (DSCR) in terms of more lives saved. Although we have said that this is a French National issue it is worth keeping an eye on the issue as riders from the UK need to be kept informed for trips across the channel. 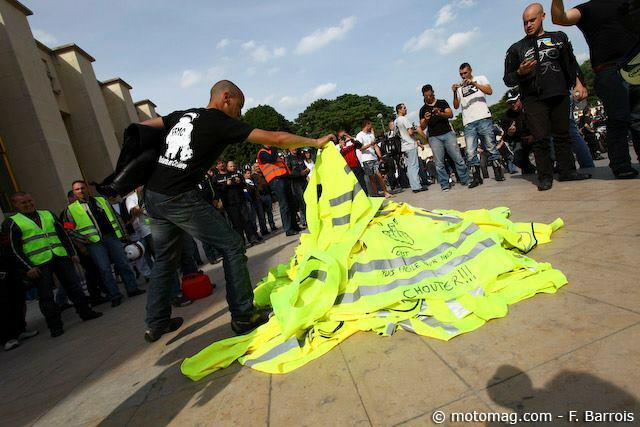 For now at least, the wearing of a yellow vest while riding a motorcycle in France is not mandatory. Please take a couple of minutes to complete our short survey on wearing Hi Viz. 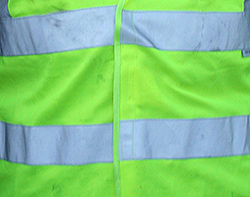 Do you wear a Hi Viz Jacket or Vest – Yes – No. 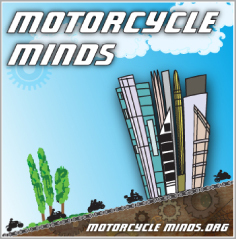 A one sized licence plate (instead of two at present) for motorcycles, 210 x 130 mm. Targeted communication about the danger of using a phone while driving, especially to young people. This article has been sourced from various articles, these include. I think High-Viz is a good idea but it shouldn’t be mandatory.